The STAR'S END radio program is often thought of as a soundtrack for dreaming, but sometimes music from actual film scores do make their way into the broadcasts. Looking back at 2014 we will find several cinema soundtrack releases that fit in quite well with the STAR'S END format, and have added to the ever-growing diversity of artists, tracks and genres that are represented every week. Listeners will need not have seen the films associated with the six releases highlighted here to appreciate these works. While their music did augment, or at times dominate, each of the film's narratives, these soundtrack albums all exist away from their visual components quite well. 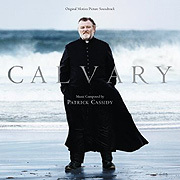 Patrick Cassidy will be known to us by way of his previous work with vocalist Lisa Gerrard. His soundtrack to the film Calvary (47'34") will remind fans of this collaboration somewhat. Along with the 22 tracks of beautifully arranged, spare and slow orchestrations are several moving vocal performances. Whether out in front or floating above chords of minor key string progressions this component adds a potent ethereal quality whenever it emerges. Although at its height this beautiful music fills our hearts with lament and bereavement, the elegies of Calvary also offer hope. 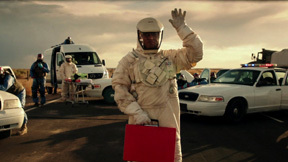 Along similar lines is the soundtrack for The Better Angels (60'21"). Several of the 17 tracks are pre-existing 20th century classical pieces. 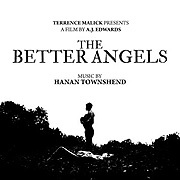 Sections from larger works by John Adams, Anton Bruckner and Alan Hovhaness sit alongside original compositions by Hanan Townshend, which were arranged specifically for the film. The main difference between the two is the amount of air each allows to gather in between chords. 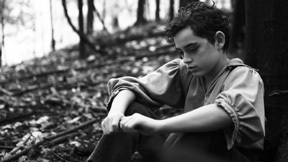 The effect may seem the result of a form of minimalism, but The Better Angels leans more toward the meditative - which is what is due this film's reverential central figure. 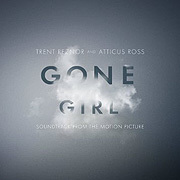 Moving to the opposite end on the spectrum of moral struggles, we find the dynamic and surprising soundtrack to Gone Girl by Trent Reznor + Atticus Ross. This double CD moves through an impressive number of moods and atmospheres, beneath which writhes calm electro-piano, detuned synthesizer pads, stuttering groves and red zone lead lines. Surrounded by the glow of curated distortion this album cuts through in an overtly electronic and innovative attitude. One moment it's an ambient thought zone, the next a vortex of digital dread, Gone Girl is a synthetic, surprising and devilish work. 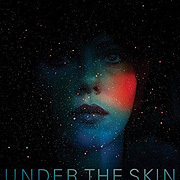 With the score to Under the Skin (46'57") composer Mica Levi travels way further out than this film's earth-based setting. 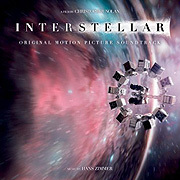 Much more than the average space-alien-among-us film, the soundtrack ably keeps up with the bizarreness of the storyline. Approaching the avant-garde in its awkward tunings and timbres, this strange work fulfills its mission to provide an atmosphere of surreal unease. Keeping the listener on edge Under the Skin treats the idea of an encounter with an off-world entity honestly. The experience would be fearfully beyond human understanding, as is this music in a few places. 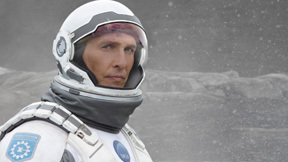 The film Interstellar (71'46") begins on the earth, but ventures on a fantastic quest across mind-bending distances. Yet for such a grandiose story composer Hans Zimmer chose to create a score with the purity of minimalist principles - enlivened by the spirit of exploration. The warmth emanating from Interstellar is not that of a rocketship exhaust, or an exploding supernova, it is of the human heart. Its 16 tracks alternate between quiet organ drones and lilting piano lines, to marshal rumblings and expanding tone clusters. The most memorable moments stretch out along a repeating pattern of reverberant pipe organ notes. The methodical swelling of the orchestra shifts ever upward, as do our hopes for the future. 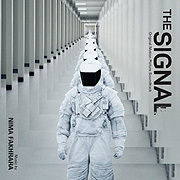 For The Signal (49'48") Nima Fakhrara has realized an interesting and enjoyable electronic score. Influenced by some of the greatest contemporary soundtrack composers Fakhrara's work here may sound familiar. Present are all the expected excitement-building devices. Roiling waves of quaking drones induce tension, while pulsing sequencer patterns run chase across a desert landscape. Snaking lead lines unfurl along the flightpath of a buzzing insect, as synthesized metal gamelan notes slowly recite above subterranean bass pulsations. From aggression and hopelessness to mystic sacrifice, the 22 tracks of The Signal each conjure a distinctive and vivid mood.